Even though patient satisfaction in the ED is not directly tied to your hospital’s reimbursements, studies show that more than three-fourths of all unscheduled admissions — a major source of hospital revenue — come through the emergency department.1 And, a patient’s perspective of their emergency department and inpatient experience has direct impact on your HCAPHS scores. That means high patient satisfaction scores are not just vital to the reputation of your ED, but also to the well-being of your entire hospital. As a result, patient experience has become a vital metric to measure payment systems for quality. It can be a challenge in the ED to ensure patients are well satisfied. Factors like overcrowding, lengthy wait times, lack of established provider-patient relationships, or loss of privacy can all leave a patient feeling less than pleased with his or her experience. And ultimately, a combination of these factors, along with simply not meeting a patient’s expectations, leads to the patient and their family or friends feeling dissatisfied. With that in mind, here are 5 ways hospital executives can drive patient satisfaction excellence in the ED. Clarity about your ED’s goals to provide exceptional quality care and an outstanding patient experience is essential at the outset. But also essential is giving providers something valuable in return. The simple secret to attracting (and retaining) exceptional providers is to treat them exceptionally well. Demonstrate that you value them by recognizing and respecting their needs as practicing physicians. Promise and deliver things like reasonable scheduling that allows them a life outside your ED; worthy clinical leadership; a stable, supportive practice environment; growth, education, and leadership opportunities; access to healthcare and retirement plans; and continuous feedback and communication that makes them feel like part of a larger whole. Offerings like these will help your ED attract and retain the kind of providers who share your ED’s values for people and their experience. As necessary as invested, high-quality emergency medicine providers are to the ED patient experience, they cannot be expected to affect significant change without support. You must equip them with the proper tools. Also instrumental: Incentives. Time and again, financial incentives prove to be tremendous motivators for high-quality providers. When providers have a hand in shaping the goals to which their incentives are tied, they’re more motivated to achieve them. When tying goals to incentives, be on the lookout for opportunities to create shared goals and incentives for ED providers and the non-ED providers upon whom they rely (radiologists, hospitalists, etc.). 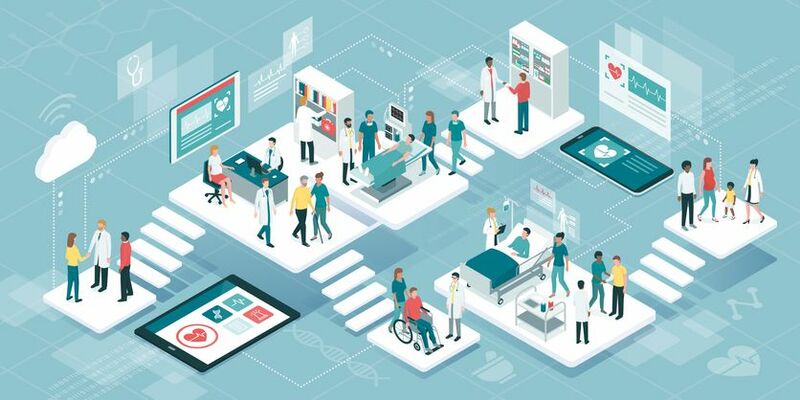 Shared, incentivized goals build collaborative processes and reinforce teamwork between the groups, which in turn boost the entire hospital’s overall efficiency, communication, and ultimately, the patient experience. Another tool providers must have to elevate patient satisfaction in your ED is a medical director who is trained to both manage and lead. While a clinically gifted medical director is certainly a worthwhile part of any ED, if you want to excel at patient satisfaction, a medical director that understands how to build and sustain a stable, supportive practice environment is crucial. If providers are to thrive, they must work in a practice environment that is well managed, both financially and operationally, so that they are free to focus on caring for their patients. A strong medical director is one who makes the initiative to both share the skills they possess, but also one who makes the efforts to learn from his or her entire team. Courses and coaching in conflict management and resolution, documentation management, quality and risk management, and of course, patient satisfaction are a must. Give your medical director support and encourage their efforts. That positive reinforcement will foster the entire ED’s teamwork, and those processes of positive reinforcement will be passed from medical director to provider to ultimately the patient. Once the underpinnings of great care—excellent, well-equipped, goal-directed providers and a strong medical director—are in place, you’ve laid the foundation for outstanding customer service. Now, you’re ready to impact not just patient satisfaction, but to excel at patient experience. Abstract goals like “improve patient satisfaction” or “communicate better with patients” offer minimal specific insights to bring a team together to impact change. However, defined targets with measurable goals, such as “reduce door-to-doctor time from 45 minutes to 30 minutes within six months,” gives the entire ED team a clear, quantifiable, attainable goal. Be aware however: No matter how specific, measurable, and realistic, goals that simply come down from above rarely inspire or motivate. It’s important that administration works collaboratively with ED providers, whose voices and daily on-the-ground experience are vital to identifying appropriate, impactful goals—as well as potential obstacles (and ideas for overcoming those obstacles). Using every team member’s input also cultivates a sense of ownership of the process, encouraging buy-in. The age-old adage that you can’t change what you can’t measure holds especially true in the context of an emergency department. In order to achieve the goals set, emergency medicine providers must first understand where they stand. Ironically, patient satisfaction scores are rendered somewhat nebulous by the combination of having a low volume of patient feedback along with the delay in receiving this information creates a limitation in the reliability of this data. Most important will be a high volume of patient feedback not only obtained while the patient is in the ED, but also shared with the ED team, such that teams receive positive feedback and also have the ability to perform service recovery in a timely manner so that every patient’s ED experience is exceptional. tracked on a team basis and also on an individual basis. Providers, nurses, and all ED team members must receive continuous feedback about their progress as a team, and even more importantly, as individuals. As naturally competitive achievers, providers respond especially well to data that enables them to compete against one another on day-to-day performance and that of their colleagues. These processes will create an enduring system such that your ED - each provider, nurse, and team member - is continually improving, always getting better, and always keeping the individual patient at the center of not just patient satisfaction, but patient experience. Statistical data shows a clear relationship between hospital profitability and customer satisfaction. Press Ganey estimates that improving patient satisfaction scores from fair/good to good/very good equal $2.3 million in annual revenue from repeat customers. Patient satisfaction leads to staff satisfaction. Excellent customer satisfaction creates an environment that the staff can take pride in, resulting in higher morale and less turnover. It is a virtuous cycle: improved staff satisfaction further improves patient experience within the healthcare system. Patient satisfaction improves financial growth. Positive customer satisfaction and excellent care have the potential to produce a customer who is likely to remain loyal to that hospital long-term. Better patient compliance. 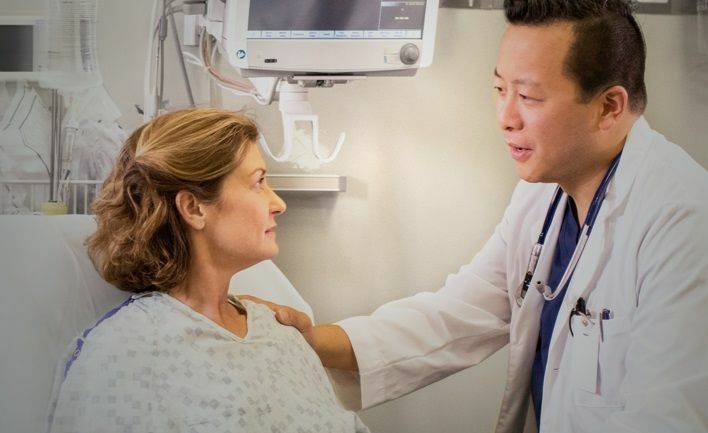 Patients are more likely to comply favorably with instructions, which lead to a better response to treatment, improved safety, and lower readmission rates. Interested in more? Learn about SCP’s patient satisfaction tools and strategies.